Source: I received a copy to review. The opinions expressed here are my own. 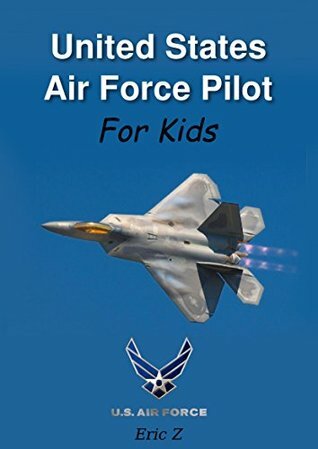 If you have ever had a desire to be an Air Force Pilot, then this is the book for you. It is full of wonderful information as well as great pictures. The author makes it clear you must meet certain requirements to be accepted as a pilot. As a teacher I really liked the fact he made it clear how important getting an education is. I never knew how much was involved in becoming a pilot of any type. I also had no idea there were so many types of Air Force aircraft. This is sad because my brother retired from the Air Force. He was one who loaded cargo planes. There is information on the types of guns and missiles each carry, and how fast they can go. The book tells you what each type of aircraft is used for. 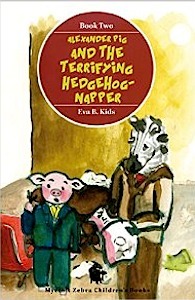 This is a book I would be proud to give to kids. If it ever comes out in physical format it will be a welcome addition to my nonfiction shelf in my classroom. The author did a phenomenal job of gathering all of the information and putting it in a format that will entice anyone. Alexander Pig, Mycroft Zebra and Pim Hedgehog live in the Littel Green Forest. The three friends decide they need to go on an adventure. They decide teh best place to go is camping at Dog-Rose Camp. There are no dogs there. They go home to pack. Mycroft and Pim wait at the train station for Alexander. Finally a taxi arrives and Alexander steps out in a fancy suit. They get to the camp and set up the tent. While Mycroft is drinking a cup of tea, Pim goes to get firewood. Alexander takes out a lobster to eat. The lobster pinches him. He keeps making up stories and when they finally go to bed he has a nightmare and sleepwalks. What will happen to Alexander? One day Pim the Hedgehog decides he needs to go grocery shopping. He leaves his house a mess. 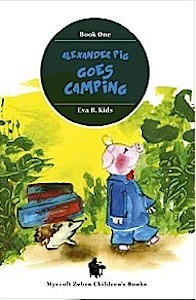 Alexader the pig and Mycroft the Zebra decide they would like to go fishing and they go to Pim's house to invite him. When they get there the house is unlocked. They see the mess, a story on the table about a kidnapped sheep and then they can't find Pim. They decide he must have been Hedgehog-napped. What will they do to get their friend back? A very cute book about friendship. Jack is a very talented young boy. He plays multiple instruments. He plays the trombone, the piano and the guitar. Everyone thinks he will be a star one day. He doesn't care about being a star. He writes his music for himself. It is what takes him to other places. They are his words. His father gets sick and ends up in the hospital. 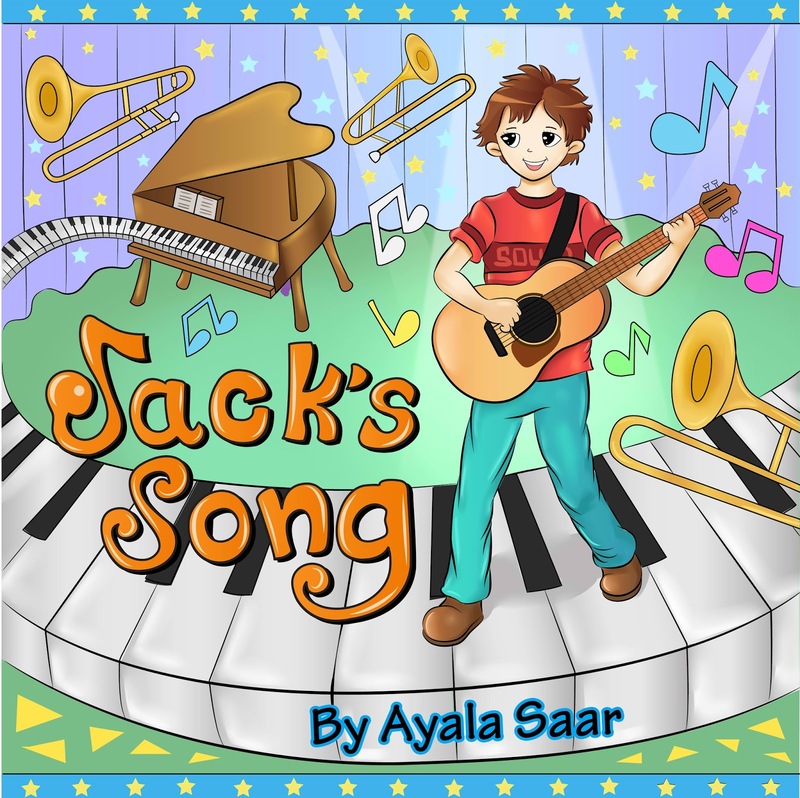 He writes special music and brings it to his father and his father begins to get better faster. He starts to play music for others in the hospital. When they go home he decides to play for the people. He has learned that his music is special and can do amazing things like help people heal both physically and mentally and can bring back wonderful memories. 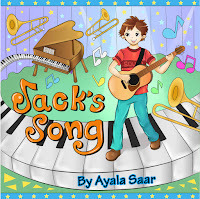 This book is great at teaching how special music can be. This is an absolutely wonderful book. Santa has been delivering toys for years. He is disappointed that he no longer gets to meet with the boys and girls. 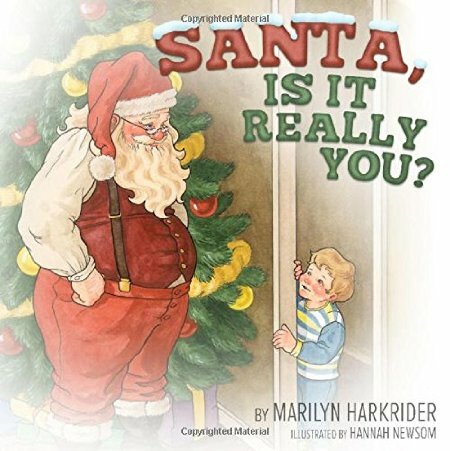 One night when he is delivering his last gift to his last house he sees a young boy peeking around the corner. They sit and talk for a long time. Ben gives Santa ideas on gifts. The next year Santa not only meets Ben, but he wakes up a couple of children. He does this for years. Finally, Ben gives him the idea that he can meet more children if he goes into the stores around Christmas time. He begins this but soon he and everyone at the North Pole are stretched to the max. How will Santa solve this problem? Will Ben be able to help him? This is one of the most charming Christmas stories about Santa I have read in a long time. 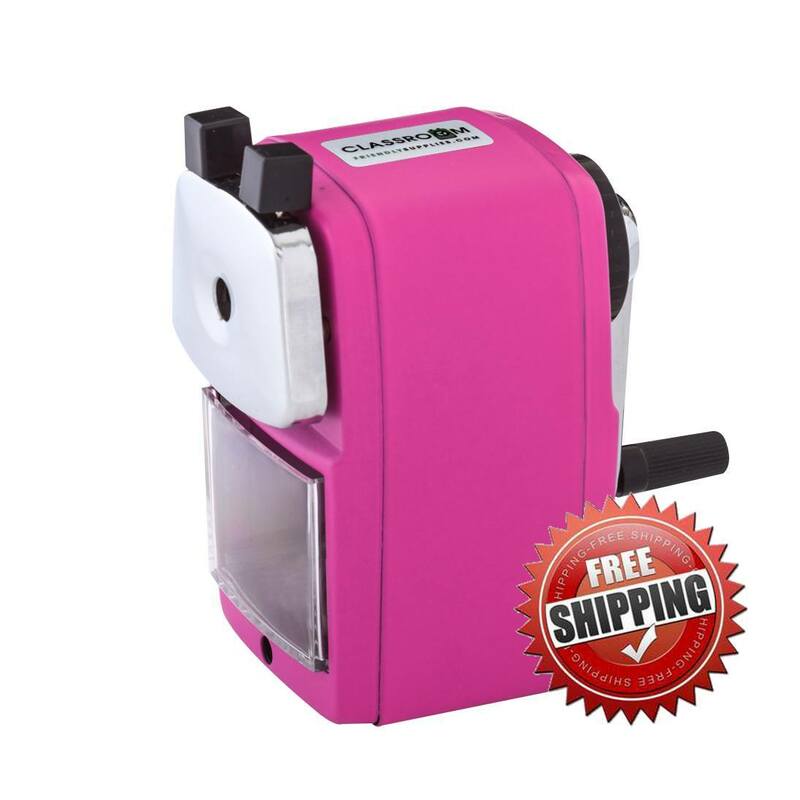 I will be recommending it to everyone I meet. My all time favorite Children's Christmas Book is the "Polar Express". This book has now become my second favorite. This is the type of book that I will buy for my children to read to their children. I can't recommend it high enough. These two authors are firefighters in real life. They have written a story about a young boy and his mother who visit their uncle at the firestation where he works. His uncle lets him sit in the fire truck, turn on the lights and then has him help him with the hoses. He teaches him many things about the hoses and how difficult it is to learn to use it the first time. When he talked about hanging up the hoses to dry I asked my husband, a former firefighter about it. He said not all of them do. Some of them lay them out to dry. He said they need to wash the dirt and ash off and let them dry to make them last longer. I hope there are more stories about the life of a firefighter. 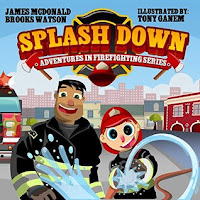 These are perfect for young kids who think they would like to be a firefighter and for those like me who just like to learn new things.